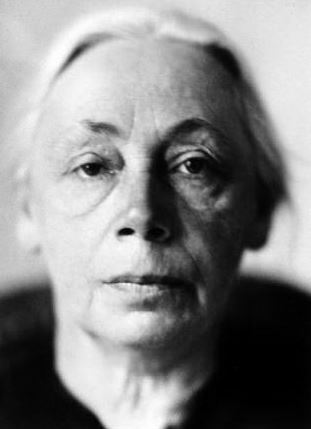 Between 1914 and 1918, Käthe Kollwitz began making sculptures. On 23 October 1914, her son Peter, who was a rifleman in the German Army, died as a result of wounds he received during an attack at Diksmuide. In April 1915, the grieving Käthe began to develop her first ideas for a permanent memorial for his grave. This ultimately resulted in the famous statue of 'The Grieving Parents', which now stands in Vladslo German Military Cemetery. The renovated Käthe Kollwitz Museum in Koekelare explores the life and work of this German expressionist artist. Using thirty or so of her original engravings, the temporary exhibition looks more closely at Käthe Kollwitz as a person and as a female artist in a male-dominated world. Her life after 1918 and the influence of the war on her wider work are also examined in depth. From 3 September 2016, you can also visit the exhibitions ﻿'Käthe Kollwitz 1.9' and 'Käthe Kollwitz 2.0'﻿ in Diksmuide. Tuesday to Friday: 09.30-12.00 and 13.30-17.00. From 15 May to 15 November, also open on Saturday, Sunday and public holidays from 13.30-17.00. Closed on Monday (all day) and Wednesday morning. ATTENTION: Due to major renovations of the nearby library, the Käthe Kollwitz Museum will not be accessible from 17/10 until 31/10. Admittance to the temporary exhibition is included in the ticket price for the Käthe Kollwitz Museum.